Her name is Omakayas, or Little Frog, because her first step was a hop, and she lives on an island in Lake Superior. It is 1850 and the lives of the Ojibwe have returned to a familiar rhythm: they build their birchbark houses in the summer, go to the ricing camps in the fall to harvest and feast, and move to their cozy cedar log cabins near the town of LaPointe before the first snows. The satisfying routines of Omakayas's days are interrupted by a surprise visit from a group of desperate and mysterious people. From them, she learns that all their lives may drastically change. The chimookomanag, or white people, want Omakayas and her people to leave their island in Lake Superior and move farther west. Omakayas realizes that something so valuable, so important that she never knew she had it in the first place, is in danger: Her home. Her way of life. In this captivating sequel to National Book Award nominee The Birchbark House, Louise Erdrich continues the story of Omakayas and her family. ©2005 Louise Erdrich (P)2005 HarperCollins Publishers, Inc. I can't wait for the other 2 in this series to come to audible. I'm ojibwe and I love hearing ojibwe stories. An Ojibwe woman myself, this book and the previous book in the series, The Birchbark House, moves me and soaks to my heart as few other works have. If you have lived near the Great Lakes and especially Lake Superior, the descriptions of this beatiful country will take you right there. I could smell the melting snow in the forest or the green, cinnamon like smell of sweetgrass. I could hear the lapping of the lake, or the creaks and crashes of the ice melting and breaking. The Ojibwe words sprinkled throughout and the voice of the reader were very authentic. My only complaint is that these books were published when I was already grown - I wish I'd had them to read when I was a little Ojibwe girl myself. I wanted this story to go on forever. Beautifully written and masterfully read. A real gem for readers of all ages! Well researched, well written, well read! This book, and the entire series that follows Omakayas and her family, is delightful to read or listen to. This is the absolute best of Historical Fiction. Couldn't recommend it more highly. Couldn't wait to see what happened next! Birchbark House was my 1st read by L. Erdrich. It was enjoyable but The Game of Silence was captivating. Even listened to & read some archived articles about Erdrich and am now looking forward to diving into some more of her books. I think next up will be Round House. Heartbreakingly realistic. I love Erdrich! 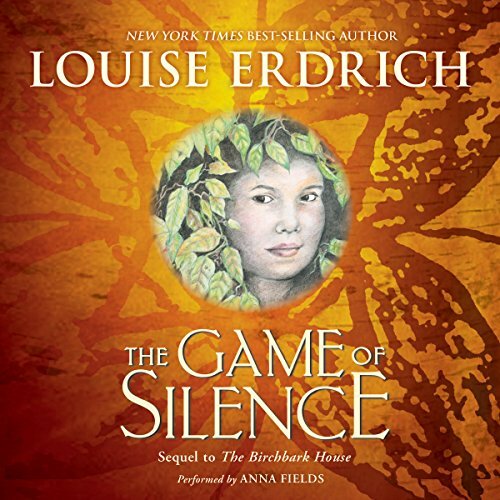 Where does The Game of Silence rank among all the audiobooks you’ve listened to so far? What other book might you compare The Game of Silence to and why? A window into Native American History. These stories need to be told & read.